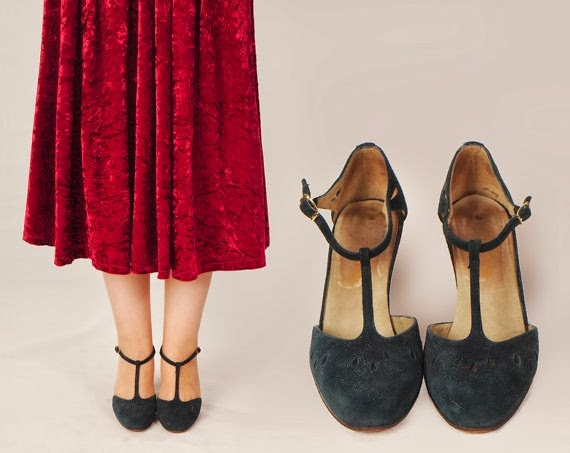 Recently Joanna of Dividing Vintage Moments invited her readers to write about ten items that inspire their vintage journey, as part of a lovely giveaway which you can enter up until December 4th. I love seeing pictures from old copies of Life magazine - the beautiful photographs of celebrities and models really capture the glamour and stunning fashion of the time. 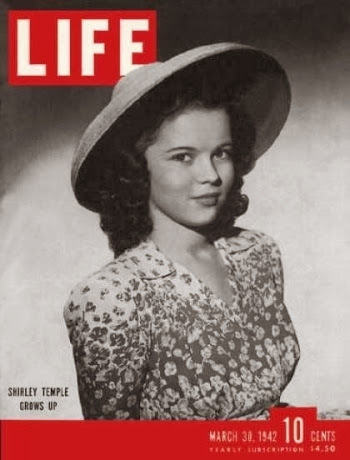 If I feel in need of hair or fashion inspiration from celebrities of yesteryear, Life Magazine always has something to offer. Although I enjoy looking to celebrities for fashion inspiration, I also like to see how vintage fashion is being worn by those in the here and now. I've found that the vintage scene is a great source of inspiration, whether it's fellow bloggers, people on Youtube, or those out and about at events etc. Plaid has featured highly on my blog in the past, most recently for the plaid link-up I hosted with Jamie. I really enjoy the pattern and I have begun to amass quite a collection of garments featuring this lovely design. There is everything to love about hats. T-bar shoes are so utterly elegant and feminine. I currently only own one pair of modern t-bars but I'd love to buy a few more pairs. 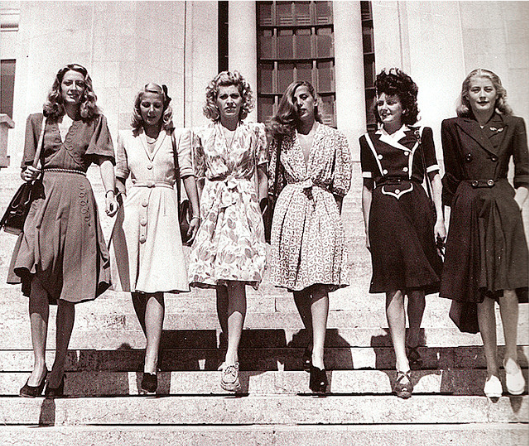 For me these inspire many outfits from different decades from the 1920s to the 1980s and they're still stylish today. 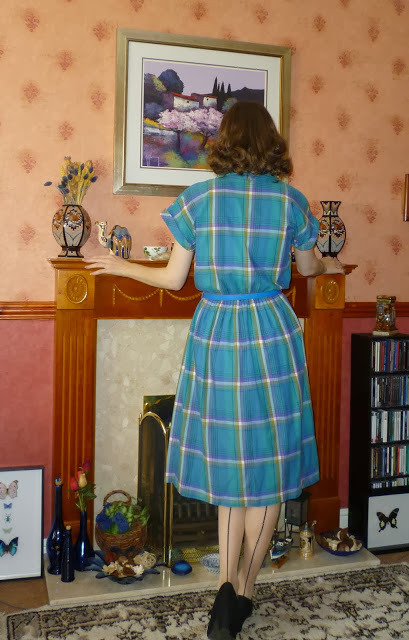 Obviously vintage outfits can be constructed from separates and include trousers or a skirt, but I usually feel the most 'vintage' when I'm wearing a dress. 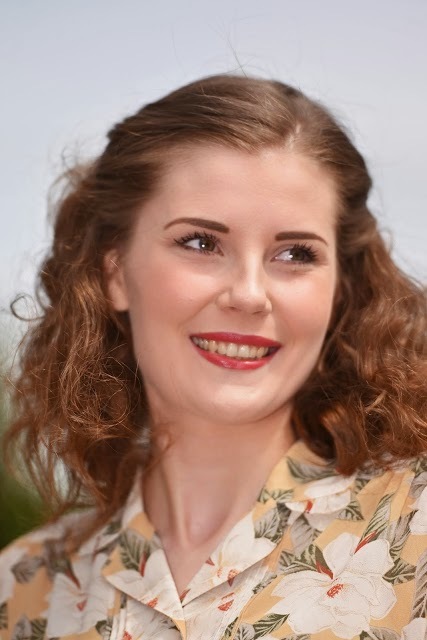 It sounds silly but I am always more inspired to dress in vintage in summer than in winter. I find it much easier to put outfits together when I don't have to worry about layering and trying to keep warm. Unfortunately my winter vintage wardrobe is woefully lacking despite my efforts to try and expand it, so for the moment I will continue to feel more excited about vintage during the summer. I wear seamed stockings a lot, and even if I don't get a photo of them as part of my outfit posts they're almost always there. They are another one of those things that really help to finish off an outfit and make it feel more vintage. I actually wear red lipstick comparatively little but it does make me feel confident and pretty. If I'm having an off-day, red lipstick can be the first step towards feeling better. Sometimes if I'm having a red lipstick day, I'm more inclined to put more effort into my outfit to match. I'm sure most everyone enjoys being complimented from time to time but I think there's something special about being complimented on your vintage outfit. Sometimes wearing vintage can be hard as it's unusual and attracts a lot of attention which can sometimes be negative, but having an older person tell you that they had a dress just like that in the 1950s or that you look just like their mother used to look - to me that's especially lovely and makes me want to put even more effort into dressing vintage. I'm fortunate enough never to have received any especially negative comments when wearing vintage, but I'm often surprised by the amount of people who take the time to pass on positive comments. It makes it all the more worthwhile. So there you have 10 of my vintage inspirations. It's a hard choice and I'm sure if you asked me again this time next year then my answers would have changed. You can see Joanna's choices here. Don't forget you can also join me on Facebook, Bloglovin' and Tumblr. I loved reading this! A lot of the things that inspire you are the same for me :) I have never been able to find inspiration in magazines, I find all of my inspiration from bloggers and photos from vintage magazines that I find online. Yes, that was a really easy choice for me to add to the list. I think we're very lucky to have such a large network of people all gathered together online which we can draw inspiration from, and I like being able to see how vintage is being worn now, as well as how it was being worn originally. My problem is seeing some of these items in vintage magazines and knowing I can't buy them in a shop. But, it is fun to try to recreate similar themes and gain inspiration from them. Magazines also really help me to date styles. Thoroughly fantastic list! I was nodding in agreement the whole way through. 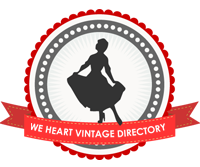 I think you have an incredible, timelessly pretty sense of vintage style. 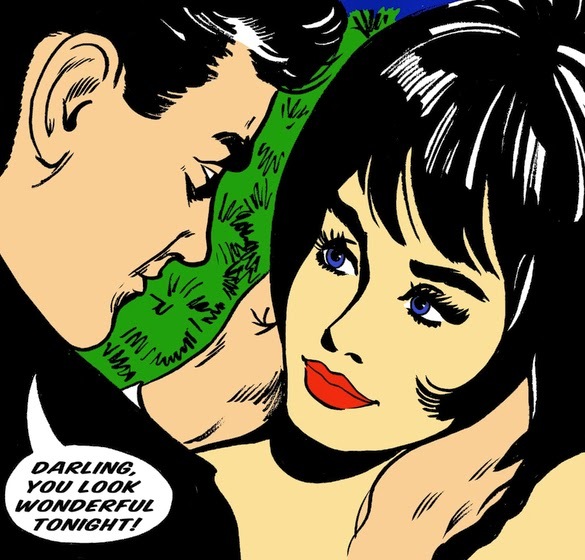 You've clearly taken to vintage to a duck like water and your passion for it radiates out through all of your excellent posts and stylish outfits, dear gal. These are great and I share many of the same! Especially the red lipstick, man does that ever boost a mood! Also, as a fellow hat adorer, did you know that poppycock hats is right here in my town?! Ugh! I wish she had a storefront that I could visit in person! Oh hey, that's great! I often look at the hats and wish I could buy some but sadly I've had to stop buying things from overseas due to the increased customs and postal service charges we have here now. Do you know that there is a whole tread on The Fedora Lounge dedicated to the art of keeping warm in the winter while dressing vintage? I didn't know what The Fedora Lounge was, so I've looked it up. It looks really interesting, I'll be having a look around on there for a while! I've looked out the thread on keeping warm in vintage so thank you ever so much for pointing me in that direction! What a great list. The plaid dress is marvelous! I'm surprised you haven't swiped it yet. The price is very reasonable! 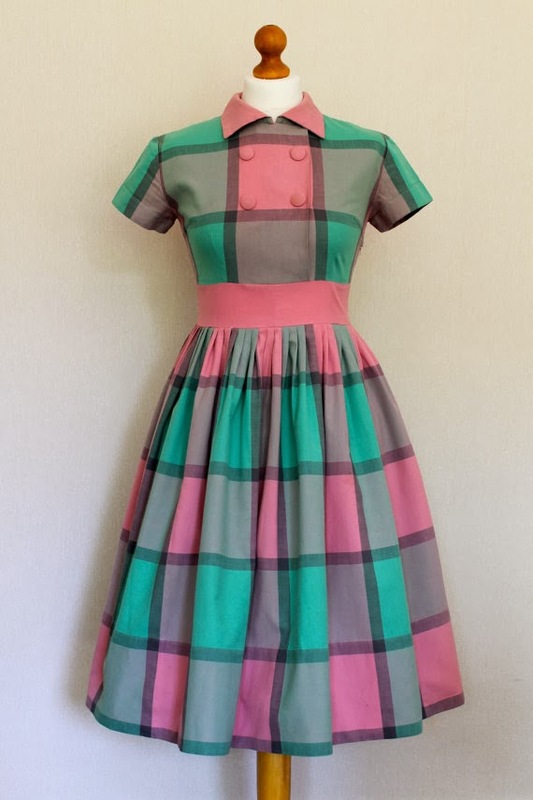 I have such a hard time finding really lovely vintage dresses that aren't overpriced. They seem to be going for over $100 each nowadays. It's hard to bid on these kinds of things without being able to try them on as you want them to be really special when you start to pay a lot of the dresses you buy. The good thing is that you can still pick up a vintage hat quite cheap so it's worth the risk to buy some of these hats. These are great inspirations. Thank you so much for participating! I totally agree, it's a great price! If it's still available after Christmas I will see about buying it, I'm just lacking spending money at the moment!